First is the one that follows the usual professional protocol of shave, dress up, eat breakfast and work. He treads with caution at every step of his life, half knowing that the tiger that he revers as his boss shall pounce straight on him grab him by the neck and have him for breakfast. He wishes he could break free but somehow stays stuck, and his life moves on. Second is the one that pumps fresh air into his lungs, looks at the tiger into its eyes, holds his breath as he focuses on his target, and freezes it in a frame of his camera in a split second. He has a crazy photography passion that pushes him down little-known roads to the remotest corners of the wilderness. He travels as far as his love of adventurous photography take him and stops on the road only for the real big fat cats, not the paper tigers that you find in offices. Travel photography is essentially about photographing places in all their glory. As a travel photographer, you will travel to lots of places and capture them through your camera. The places can be tourist attractions, natural landscapes, hotels and resorts, cultural experiences and outdoor adventures. Most professional travel photography is in some way or the other linked with the tourism industry, generating imagery for magazines, brochures, advertising, merchandise and online media. A career in travel photography offers a fair share of the adrenaline rush, money, and accolades. However, choosing to live free and young has its own set of challenges. Like other career and business options, travel photography can offer you every bit of joy and learning experience that you want both from traveling the world and from the career of photography, provided that you can scale things up, focus on brand building and market your work far and wide. Remember that travel photography will require you to do the miles, most often on your own, and there will be serious expenses to be incurred and work to be done. Before you respond to the call of adrenaline and decide to quit your nine to five to dedicate yourself to travel photography, take cognizance of the pros and cons. 1. 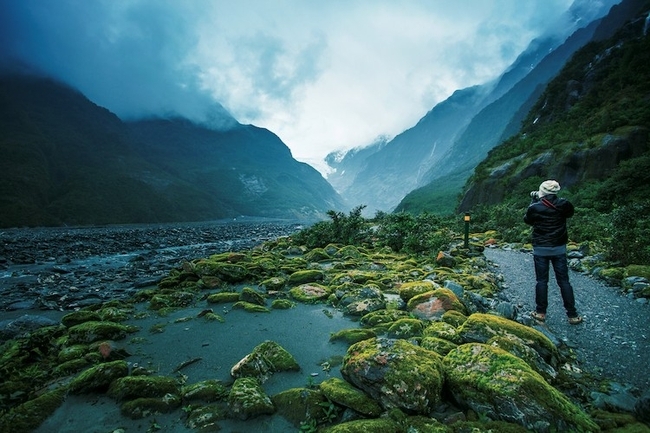 Choose travel photography only if you love it deeply. It's going to be tough. Adventurous photography has many niche genres like wildlife photography, industrial photography, landscape photography, etc. Learn about the types, the corresponding skill requirements, the temperament that is needed, the challenges involved and of course, the monetization models involved. Make sure that you understand all the dynamics before making your final decision. Follow both your heart and mind. Once you have made up your mind on selecting travel photography as your specialty, you then need to focus and prioritize it and pursue it with all your passion. Half measures will not do. Falling in love with that someone, at first sight, is sensitivity at its highest. Planning to get married and start a family with that someone is sensibility at its highest. We are talking marriage here. Marrying your passion and your expertise - technical, aesthetic and commercial. Think like a pro. 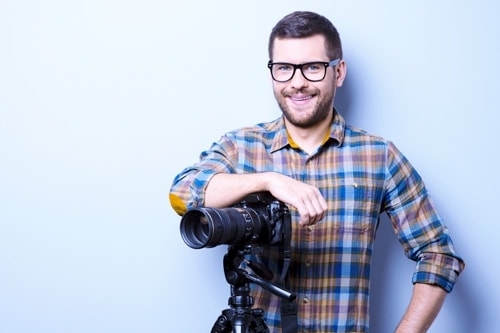 Start learning the tricks of the trade by interning for free as you take pictures with a second-hand camera. 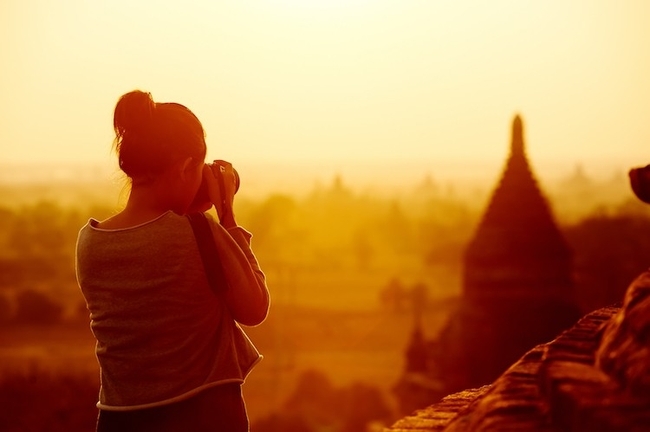 Interact with peers and seek travel photography tips. Study books and magazines on travel photography. Learn from the masters. Upgrade to camera equipment of higher features, functionality, and performance as you progress. 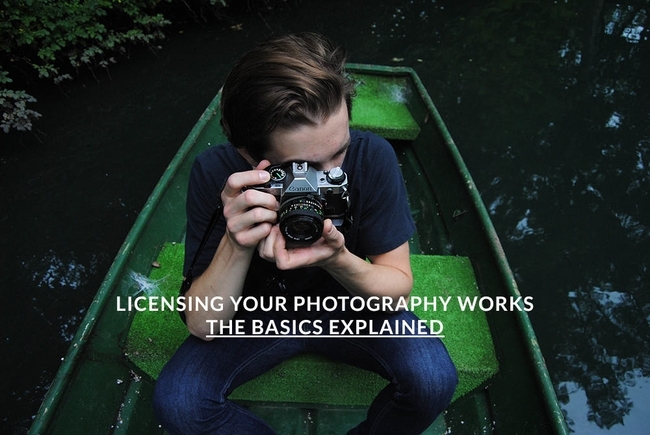 Define your travel photography service in unambiguous terms. Enable your clients and prospects understand the quality of work that you deliver, prices that you charge, value-added services that you render and the scale of projects that you work on. Define the mode of payment and the terms and conditions for hourly rates, weekly commitments of time and project deadlines. Even as you continue to learn and inculcate the skills of professional travel photography, you must not forget to market your work. Build a professional travel photography website to showcase your travel photography images. Sort and curate your work and select the best travel photos of different genres that you have for your portfolio website. Constantly update your portfolio website and add new work from fresh travels. Your website is your showcase window to the world and the first point of contact with potential clients and collaborators. 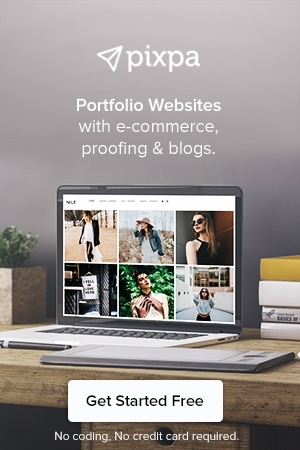 Pixpa is an all-in-one platform to create a travel photography portfolio website easily without any coding knowledge. 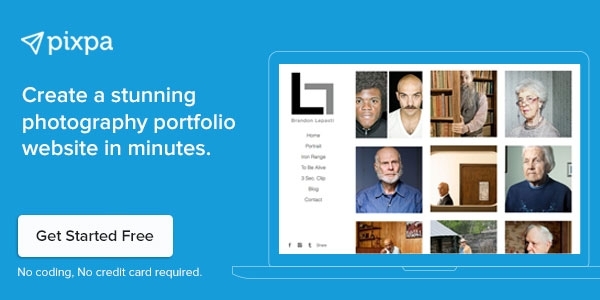 Take a free trial and start building your portfolio website now. Travel photography gets a lot of attention and response on social media. People love to like and share beautiful, picturesque images of places they would love to visit. 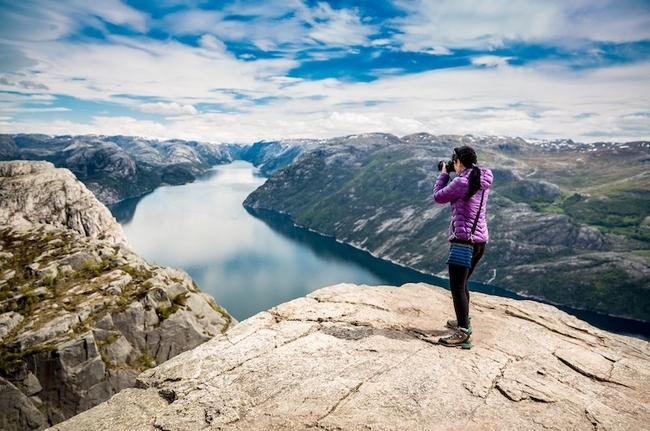 As a travel photographer, learn to leverage social media to your advantage. Choose one or at max two social media platforms and focus all your energies on sharing high-quality posts regularly. Interact with people who comment and share your work and build your fan following. Look through the metrics of likes, shares, and comments to understand the market trends, the quality of work and areas for improvement. 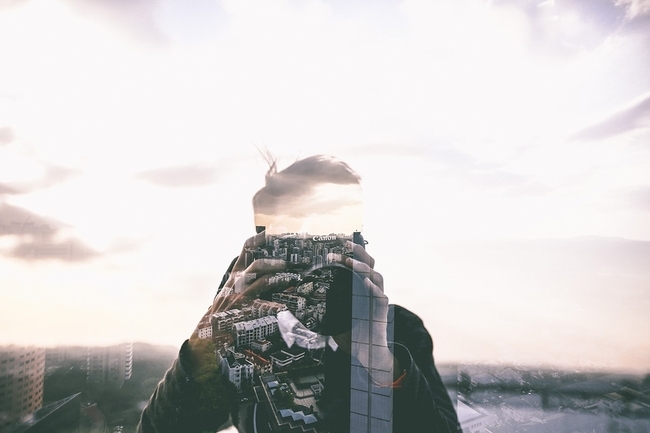 Instagram has emerged as the preferred platform for photographers to share their work. Travel photography is especially popular on Instagram with many hub pages promoting travel photography. Learn how to use photography hashtags on Instagram to get success as a travel photographer. Add a travel photography blog to your portfolio website. Starting telling visual stories, share travel photography tips and behind the scenes insights of your travels. Create photo stories of the places you are visiting. Talk about the culture, experiences and share your explorations through your blog posts. Your blog will gradually become a magnet for attracting admirers and potential clients, alike. Tip: You can add a blog to your portfolio website on Pixpa easily. Learn more. Here is the challenge. Capturing the best travel photos as you travel across the world is one thing and making money from them, quite another. Always be looking to sell your skills, brand your work and get a better bargain. 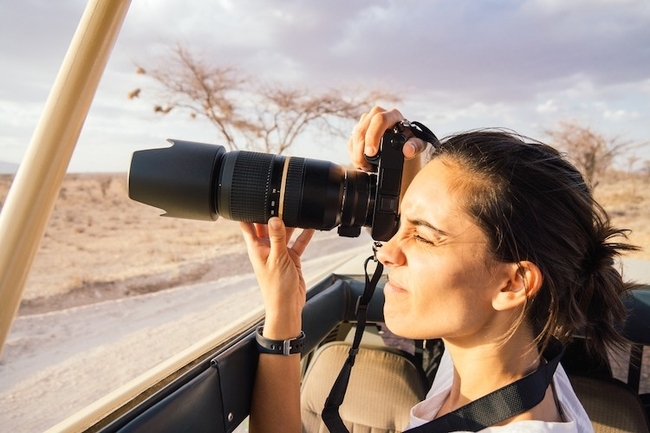 You may try publishing your work on some of the best travel photography platforms, online tourism platforms and wildlife adventure photography and conservation platforms that offer a good amount of money. There are a lot of stock photography websites where you can sell your travel photography images. There are also many travel magazines that regularly post travel photography jobs. Build your relationships with travel magazines and understand their requirements. You can plan your travels wherein you are shooting images that a travel photography magazine or website would be interested in paying for. How about socializing with buddy travel photographers at a cool theme restaurant on the weekend? You get to know each other, bond over shared interests in adventure photography, learn cutting-edge technical tricks and most importantly get recommended to clients by senior professionals. Network, share positive vibes with your tribe and get recognized within the community of travel photographers for your work. There are also several online travel photography communities that you can join. Fellow travel photographers are more than happy to help each other out with insider tips on the places they have visited. Travel photography is not just about the camera. It is about exploring people, places, cultures, geographies and practically whatever the roads serve your way. Flag each place you visit with a bit of self -promotion. Associate with noble causes and look to attach yourself to social campaigns. For example, you can try your hand at wildlife photography to spread the word on endangered species and animals that are on the verge of extinction. Amidst all the frenzy of meeting people, new clients and new assignments will pop out of nowhere. Keep the faith and have the resolve to overcome a few challenges that the trade might throw your way. If you love photography and the freedom of working while traveling places, travel photography is for you. Leap with preparation and trust that the net will appear. Remember that a breakfast with a tiger is way better than spending sleepless nights dreaming of the tiger at the office! Create your travel photography website easily without any coding knowledge on Pixpa.